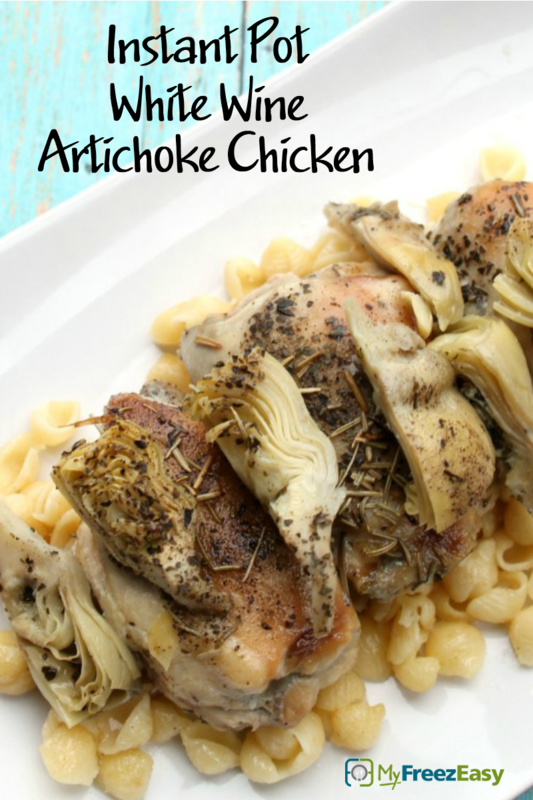 This chicken is so delicious and flavorful! Open and drain the can of artichokes. Place the chicken breasts into the electric pressure cooker insert with the hot water. Pour the white wine, chicken stock, artichoke hearts, butter, and lemon juice around the chicken. Season with salt and pepper. Whisk in the cornstarch. The sauce will thicken. 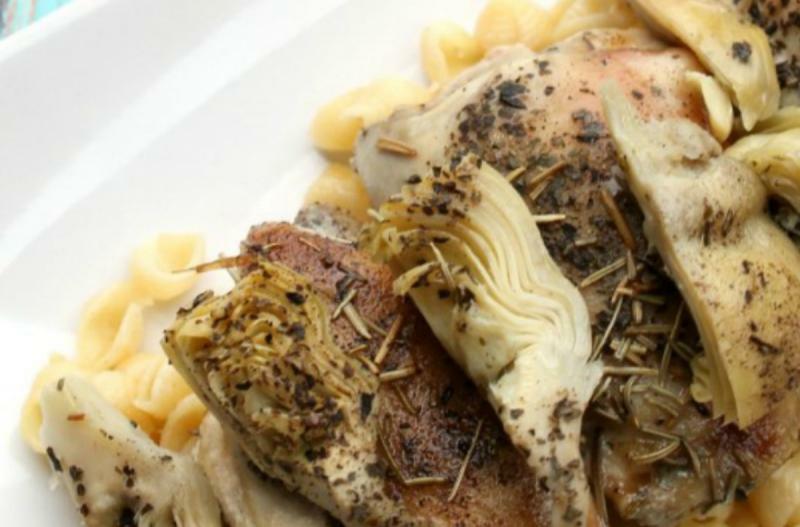 Serve Instant Pot White Wine Artichoke Chicken with over pasta with salad. Open and drain 2 cans of artichoke hearts. Do NOT add cornstarch to the freezer bag. Thaw, add hot water to Instant Pot and then add contents of baggie. Cook on high pressure for 15 minutes with sealed valve; then natural release. Then stir in the cornstarch to thicken sauce. Serve with over pasta with salad.